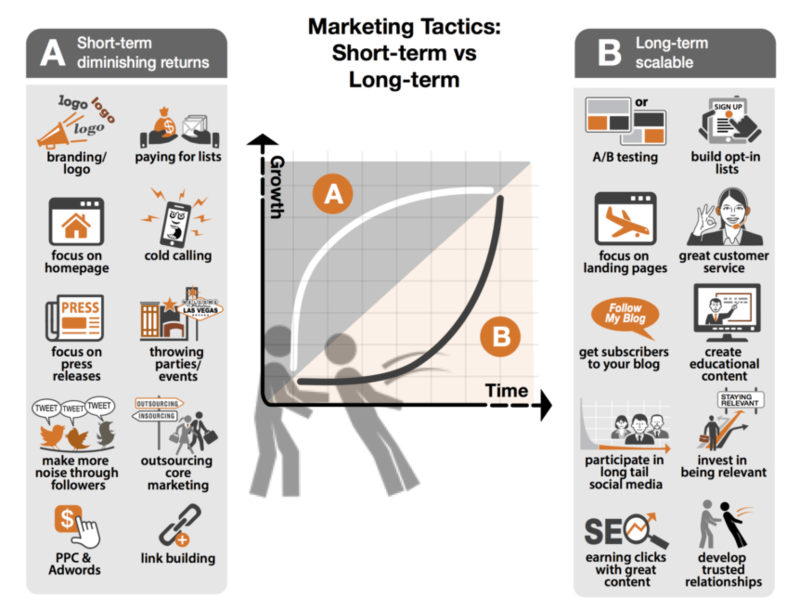 Over here is a great blog post on the balance of approach between long term and short term approaches to marketing. The writer sets out his vision of how to get started building the marketing for a business, and where a business needs to go in the long term. Do you agree with his chart on the short and long term? Some of the items on the right hand side aren’t normally part of market, such as customer service.